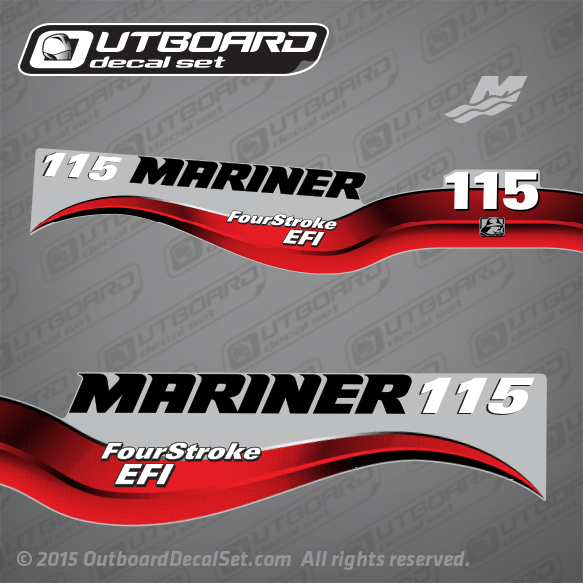 Mariner 115 hp EFI (4-STROKE) Red decal set replica for 2003, 2004, 2005 , 2006, 2007, 2008, 2009, 2010, 2011 , 2012 and 2013, seen on some 2 Stroke Outboard motor covers also. 828354T 8 TOP COWL ASSEMBLY (Black). 828354T9 TOP COWL ASSEMBLY (Black). 827328T9 TOP COWL ASSEMBLY (Black). 827328T10 TOP COWL ASSEMBLY (Silver). 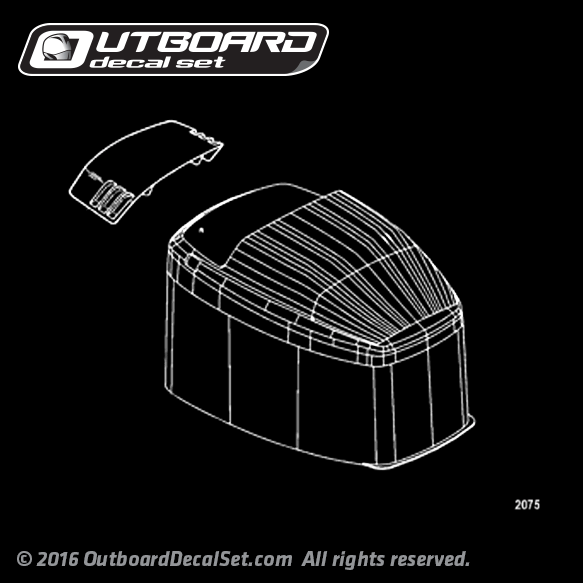 828354A10 TOP COWL ASSEMBLY (Silver Cowl And Black Cap) Tracker.